My weekends are mostly on a Thursday and Friday, due to work commitments. But it’s great, as the camping spots are usually empty during the week. 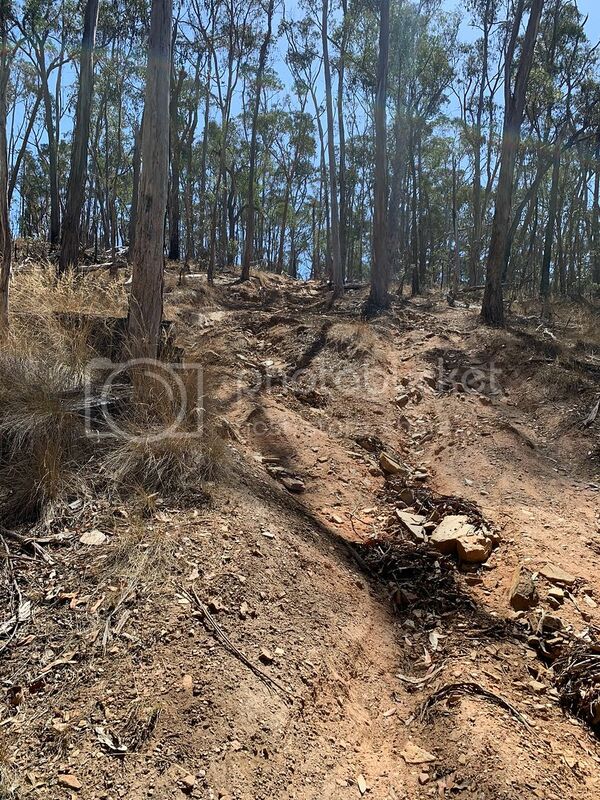 Since moving to Avoca, Central Victoria, I have been exploring a little more than just mostly going to the high country. Which of course is awesome!! So this time, as I was looking over the map for somewhere to go, I saw a little river snaking it’s way down on the edge of the Little Desert. 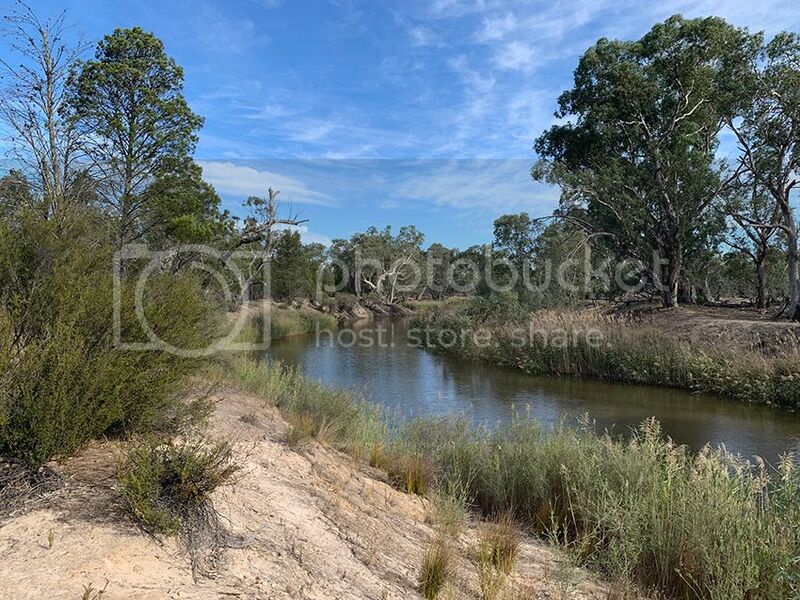 On further inspection, it was the Wimmera River, in the Wail State Forest. Thursday morning I loaded up the trusty Prado and headed off. 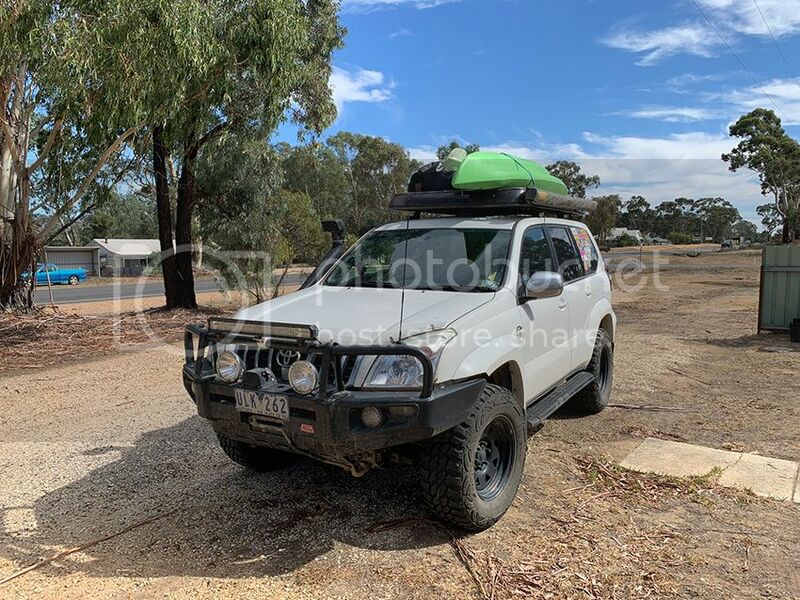 First towards St Arnaud, then towards Warracknabeal, Dimboola, then down into the Wail State Forest. Upon entering the state forest, the gravel track turned sandy, and it was starting to get a bit soft! So the little stick got flicked to high range as I continued the track in. After a little while, as the sand was getting nice and soft, and I still had a little bit more of the track to go, and unsure what laid ahead. I did a quick stop and dropped the tyres down to 20psi, which was easier to travel then. 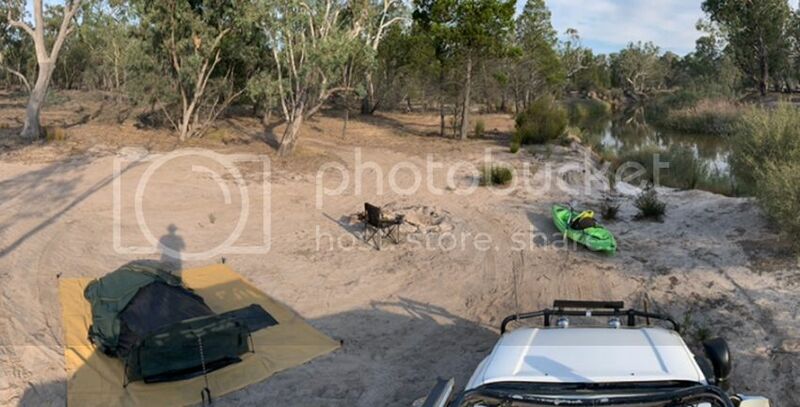 Soon I was at the river, and at the first camping area. 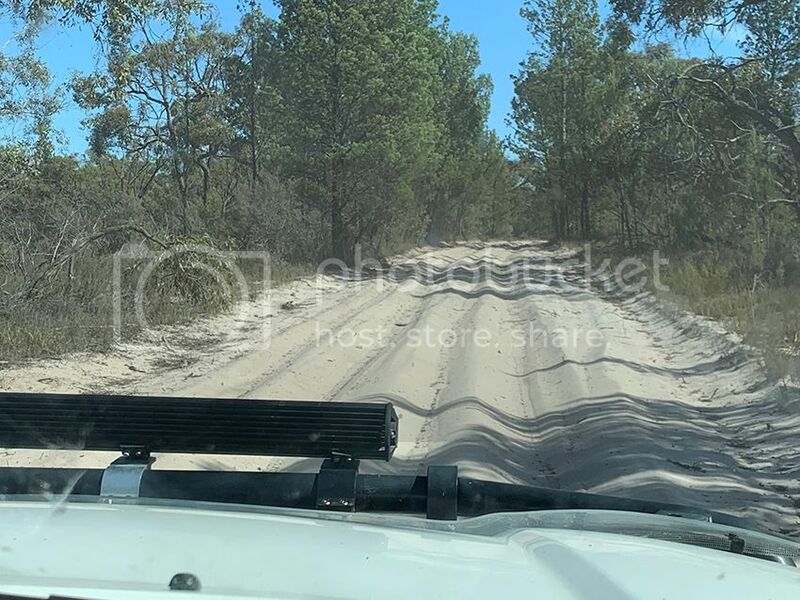 Since it was still mid afternoon, I thought I would drive along the track which ran beside the river to see what other campsites where available. 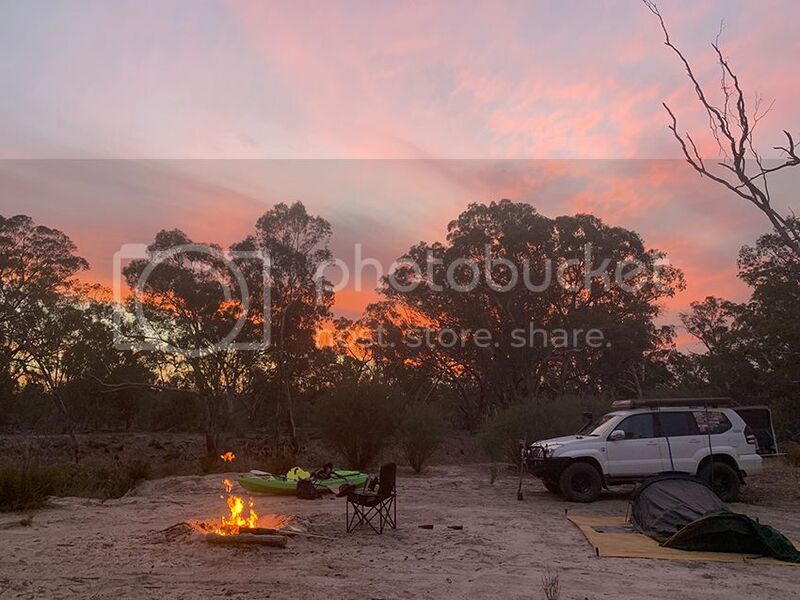 There were 5-6 camping areas along the way, each with a car and camper trailer in each area, still with heaps of room for other campers, but I would prefer to be by myself with no one else in sight... well I was camping and enjoy the peace and quiet! soon I found a spot, Unloaded the wood I brought along, set up the swag, set up the kayak, and threw a couple of worms and cheese on a hook and set the rod up on the river. 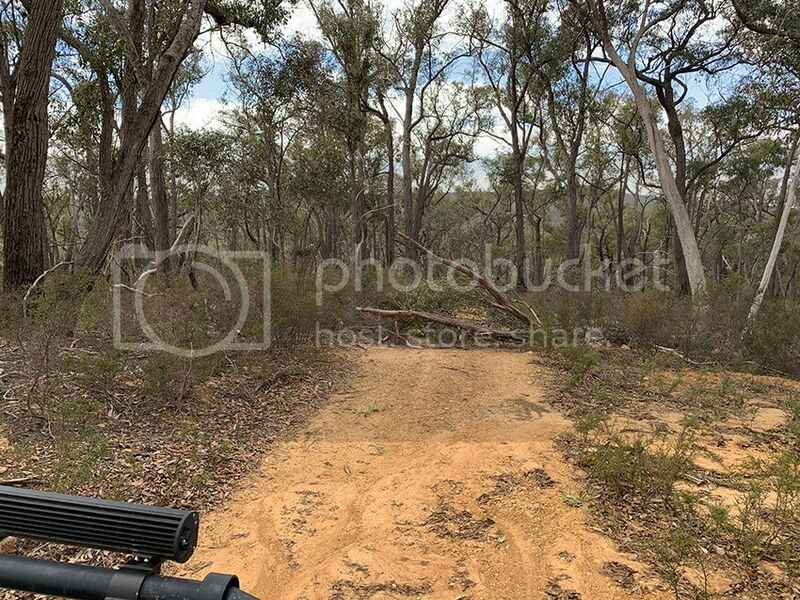 It was a magic little spot, nice and cleared, emus and kangaroos silently poked their heads out from behind trees to investigate, birds chirping. Soon I lit the fire and stoked that up as the sun started to drop, providing a magnificent sunset. I cooked up some veggies and pasta for dinner and sat back around the fire with a couple of glasses of red, as the sky was now filled with stars. I watched the last of the wood die down then crawled into the swag, leaving the main cover off so I could gaze at the stars again as I fell asleep. I woke the next morning to grey clouds and the wind had picked up a little. I deciding to pack the swag up while it was still dry. And cooked up some breaky. The weather didn’t know what to do, one minute the sun was starting to come through along with patches of blue sky, then the grey clouds would close in again. It started to rain, so I sat under the awning of the car for a bit. After that the rain went away, the sun was trying hard to shine through though. 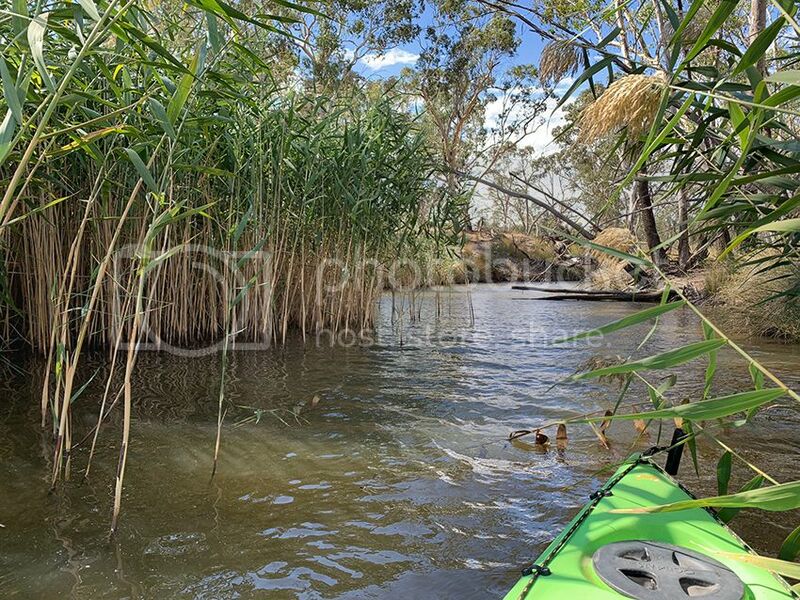 After a little while I slid the kayak in the water and went for a paddle. I didn’t take the fishing gear with me, as I just wanted to explore the area. 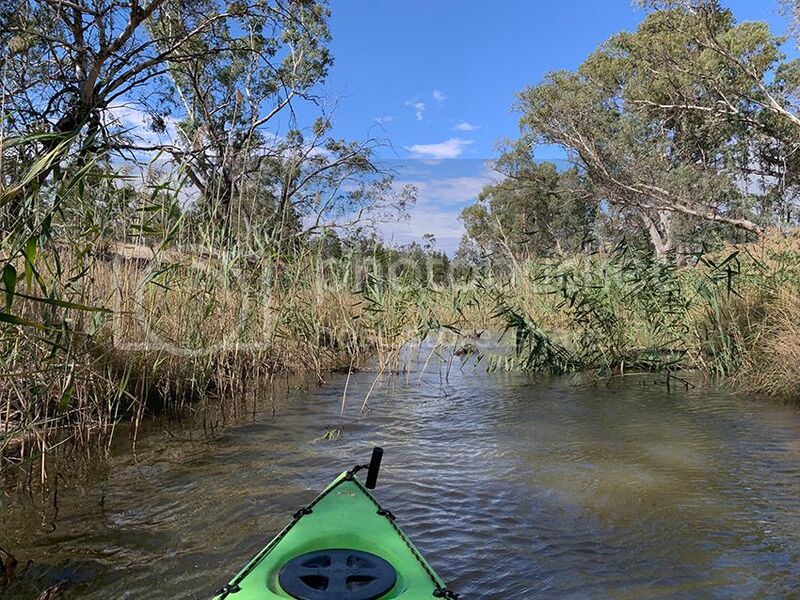 Parts of the river were narrow with reeds covering the water, and others were wide... a couple of hundred metres wide at a junction of the river. That looks awesome Luxy! 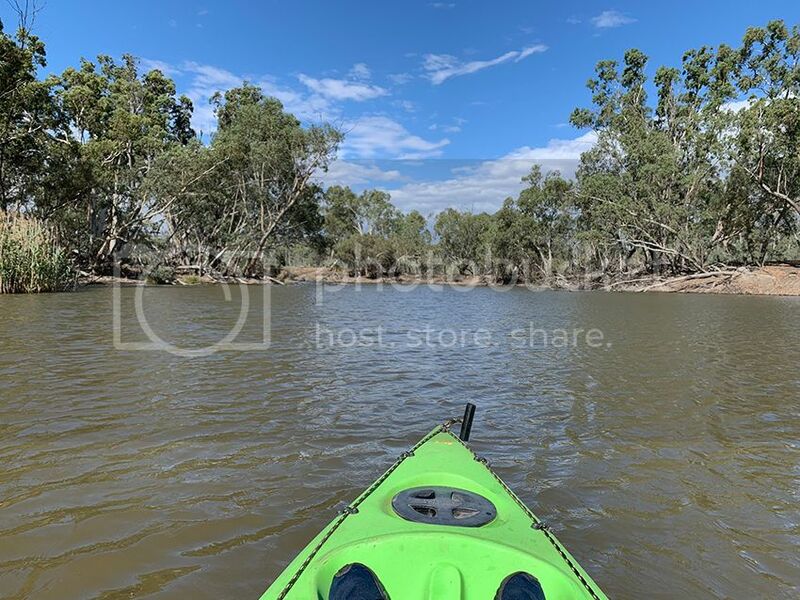 I've always wants to fish on the Wimmera River. Camp spot looks amazing. The River width does appear to vary. We are lucky with so many great outdoor options. Did you drive that track in the last photo? Nice report and sounds like a good getaway. May you have been partaking of a BLUE PYRENEES RED. I wonder? Thanks mate, yes that would be good to catch up again for a fish. I didn't do much this time around. Left a rod in overnight, but it was snagged the next morning, probably an eel or something pinched the worm and cheese during the night and it snapped the line. Lovely peaceful location. Can certainly see myself camped there for a few days R and R.